These quotes are shared by Robert Rannigan, LPC, to touch, inspire, and motivate moms and dads to reflect upon what is important in their lives and those of their spouses and children. 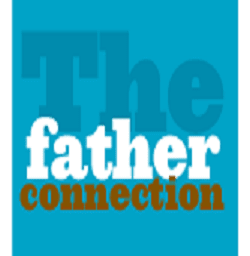 The role of fathers has been slowly changing over the years. Dads are now expected to be more emotionally involved with their kids and–most of all–desire more emotional closeness with them. To do this, men have to establish a sense of safety, certainty, and knowing within their own internal environments. Through increased mindfulness and focus, they will then be able to create these very things for themselves, as well as for the families they love. Grouped by a common theme, “Quotes for Parents” bring words of wisdom, almost daily, from great minds—current and old—into the lives of modern parents (and the rest of us) to nudge them (and us) ever so closer to the mindfulness and self-awareness we should all be practicing every single day. These quotes are provided as encouragement to observe the power of words and to choose your words carefully. In the morning, choose one (or some of their impactful words) to meditate upon and guide you in a positive direction as you navigate the day’s challenges. This post was originally published on Robert Rannigan’s Daily Quotes for Parents and is republished here with his permission. The post Turning Within for Guidance with the Outside World appeared first on The Good Men Project.